Those operating the little AUV, which carries video and sonar equipment, have precise control over it, enabling it to move carefully and quickly while identifying underwater objects and their locations. 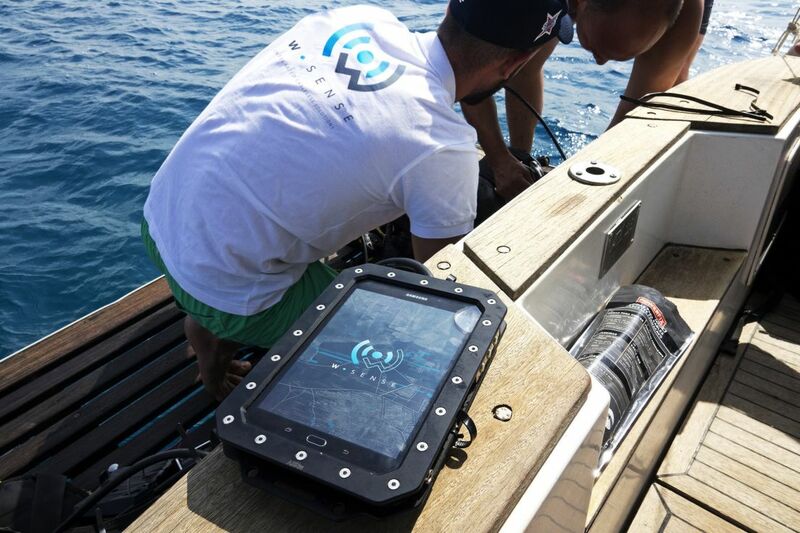 The Zeno is also equipped with a navigation system similar to a GPS, and features a communication system to assist the divers operating it, allowing them to know their own location and to exchange diving and other information with their colleagues. The entire system is wireless. 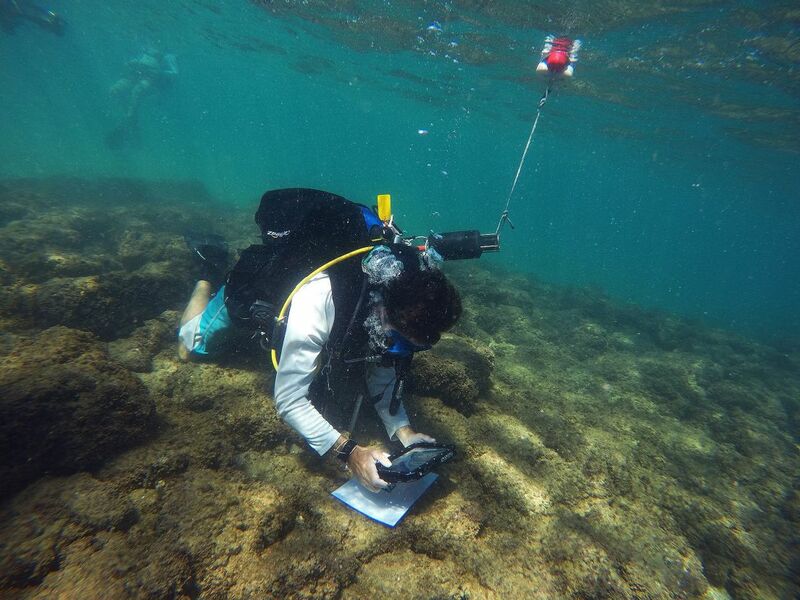 Archaeological research institutions usually do not have large budgets and cannot afford expensive underwater excursions. Indeed, it costs more than $100,000 a day to operate a large research ship, plus the divers’ equipment itself usually costs millions. The possibility of studying an expansive area on the ocean floor is thus typically limited at best, resulting in the slow development of the field of submarine archaeology. Prof. Chiara Petrioli of the University of Rome La Sapienza, an expert in computer sciences and artificial intelligence who headed one of the Italian teams that recently visited Israel, described their goals as advancing underwater archaeology by two means: robotics that work well in the depths of the sea, and the Internet of Things beneath the surface of the sea. Petrioli adds that the research and development she and her team undertook were done under the auspices of W-SENSE, a branch of the University of Rome. The general consensus is that huge archaeological treasures await us at the bottom of our seas and oceans: for example, the so-called Lost Continent of Atlantis continues to fire the imagination. Some of the reasons for local interest in this realm stem from the fact that about 20,000 years ago, during the last Ice Age, the sea level was 120 meters lower than it is today.The coastal plain in Israel, for instance, was 20 kilometers wider and inhabited by people. Afterward, the warming began, the sea level rose and the settlements along the coast were abandoned, covered with water and sand, and left to languish at the bottom of the sea. The hope today is that the Zeno will help locate these sites, map the findings and give us a clearer picture of the submerged strip of land that now lies at a depth of up to 80 meters (260 feet) beneath the water’s surface. 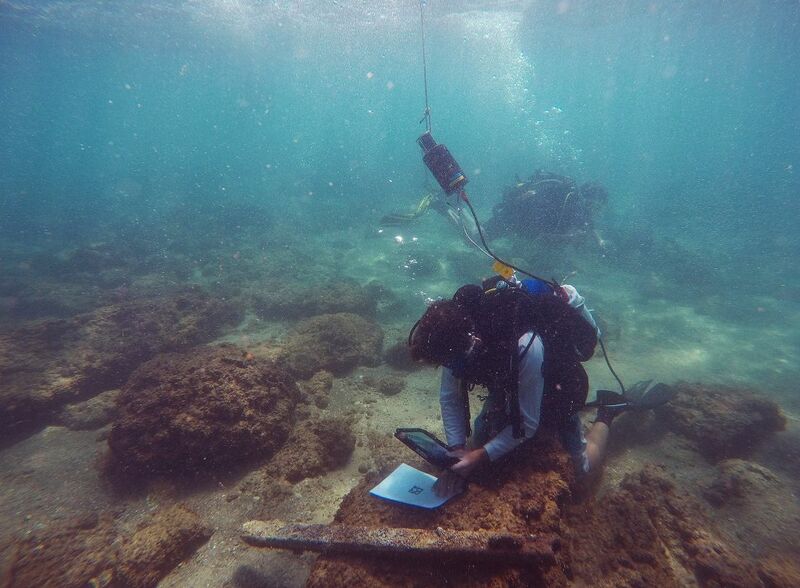 Maritime archaeology is a difficult discipline pursued under inconvenient conditions. The sea is stormy, the sand shifts, progress is slow, there aren’t usually many findings and every underwater excavation or study, even the simplest one, is a daunting task. Technology in the field hasn’t changed in the past 50 years and remains cumbersome, say experts. The researchers typically dive for short periods of time, usually in areas with poor visibility, hoping to discover whatever is hiding at a few, or a few dozen, meters beneath the surface. In most cases, they use sonar devices attached to long cables – a technology that has also remained basically unchanged in recent years. Most of their attention is naturally directed at strips of shallow water, up to a depth of 100 meters. Israel is a land of maritime archaeology treasures, says Kobi Sharvit, director of the Marine Archaeology Unit in the IAA, thanks to the dozens of submerged sites along its Mediterranean coast. Natural phenomena such as the rise in the sea level and extreme changes in the weather, coupled with man-made changes such as construction of breakwaters and dredging of sand, have caused a thinning of the sandy strata that once covered and protected these sites. Local archaeologists are worried about the possible destruction of the structures and relics that have been exposed in recent years due to the shifting sands. In an archaeological survey conducted about a decade ago along the section of Israel’s northern coast between Atlit and Haifa, researchers found six communities dating to the Neolithic era – that is, 8,000 years ago or more. The Neolithic site at Atlit-Yam, for example, lies about 400 meters from the coastline, west of the estuary of the Oren River on a sunken sandstone ridge, on which Atlit’s Crusader fortress is also situated. The site, which was discovered by maritime archaeologist Ehud Galili, is some 8 to 12 meters beneath the surface of the sea. The IAA’s Sharvit explains that a main focus is prehistoric locales that were covered by the sea and include coastal settlements, ancient ports, underwater structures hewn into rock and vestiges of shipwrecked boats. Along the country’s coastline – from north to south – Sharvit counts at least 10 ancient ports, several of them thousands of years old: Achziv, Acre, Shikmona, Atlit, Dor, Caesarea, Apollonia, Jaffa, Ashdod and Ashkelon. Each has the potential to become a tourist attraction, he says, adding that access to all of them is relatively convenient as the water is shallow. At the Caesarea port, several impressive underwater treasures have already been discovered. Three years ago, two divers discovered by chance the ancient cargo carried by a 1,600-year-old merchant ship from the late Roman period, which had run aground. Among the great surprises was the discovery of two troves of thousands of ancient coins, weighing about 20 kilograms, which assumed the shape of the pottery container in which they were transported. That find came a year after the discovery of the treasure of Fatimid gold coins (2,000 gold coins, about 1,000 years old, unearthed at the bottom of the ancient port). According to Sharvit, the shifting and dwindling amount of sand on the sea bottom led to the exposure of these ancient treasures. 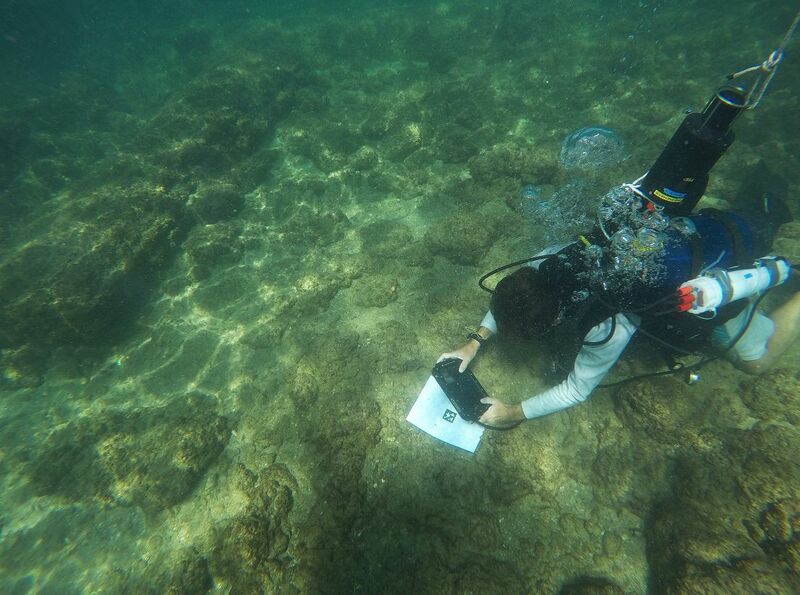 Such technology could attract divers to Caesarea, he says, and spark a lot of publicity, whether among the academic community or the wider public. For his part, Sharvit highlights the fact that over the past decade, significant changes have taken place along the Mediterranean coast. Accelerated development, mainly related to Israel’s new offshore natural gas sector, is creating what he called “a network of spider webs comprised of pipelines and other infrastructure.” This development, he warns, is making the urgency of the maritime biologists’ work even more apparent. As noted, Prof. Petrioli has in recent years focused on a particularly promising new field of technology – what she calls the underwater-based Internet of Things. In a conversation with Haaretz, she emphasized the importance of the technology used in operating the Zeno, which was being tested here. The entire history of the Mediterranean lands, she explained, is buried at a depth of a few hundred meters and is currently inaccessible: Along the Italian coast alone, there are about 1,000 underwater sites waiting to be explored. The new technology would be revolutionary in what it could reveal to researchers there and in Israel, where Caesarea, she noted, is the perfect testing ground for trying it out. 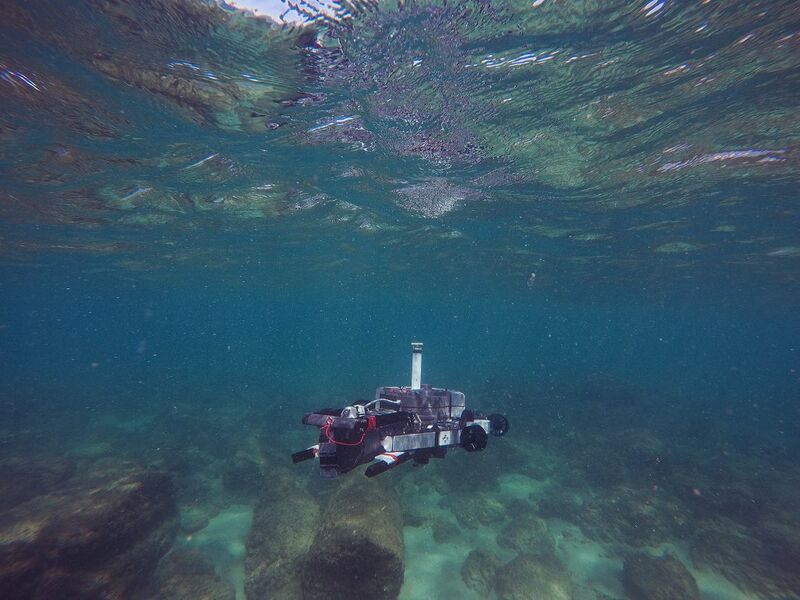 “By the time the equipment comes out of the water, you can already create a map of the seabed. It’s a real asset. Currently we don’t have anything that even comes close to that,” Sharvit said. 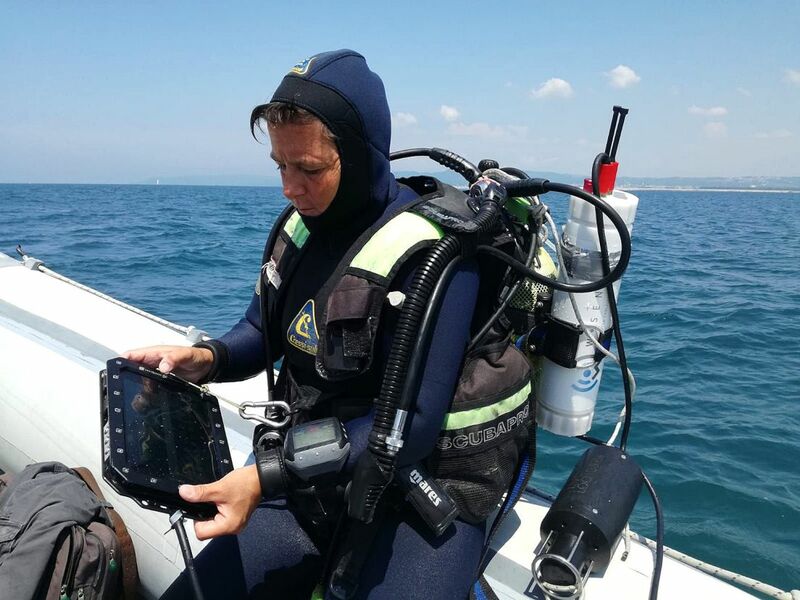 The system developed by the Italians is expected to provide information about the precise location of every find, along with other data and photos, to divers, who will be equipped with tablet computers. 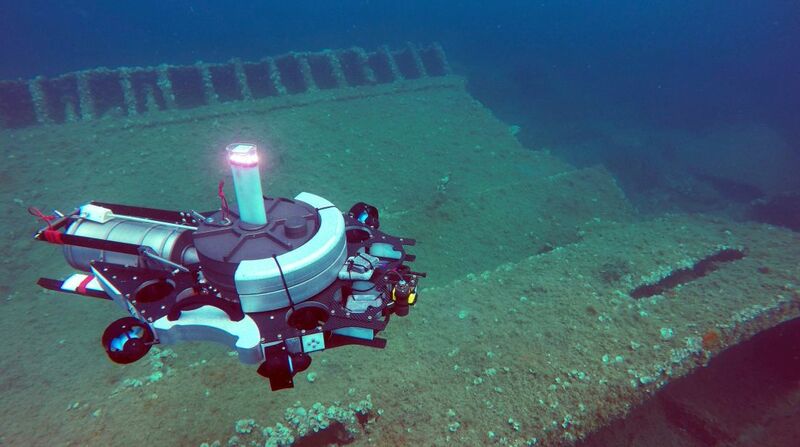 Until now, Petrioli said, in addition to chartering expensive research ships, maritime archaeologists have had to use technology and equipment worth about 2 million euros ($2.3 million) to map out underwater sites or ancient ports – equipment that is cumbersome, complicated and expensive to use. The ultimate goal she and her colleagues are working to achieve is to develop a compact system, whether a robot or tiny submarine, that costs 10,000 euros, an affordable sum for academic institutions or organizations like the IAA. Such devices, she said, would lead to a total paradigm shift in maritime archaeology research, enabling exploration of wider swaths of the sea. Along with the mapping and documentation of the sites, the technology would also allow ongoing monitoring to determine whether they are in stable condition or deteriorating. Petrioli spoke at length about the importance of research and of “underwater tourism” at marine parks, but she is also aware of other economic and military implications of the technology she is developing. For example, it will also clearly have applications in the drilling of off-shore oil wells. 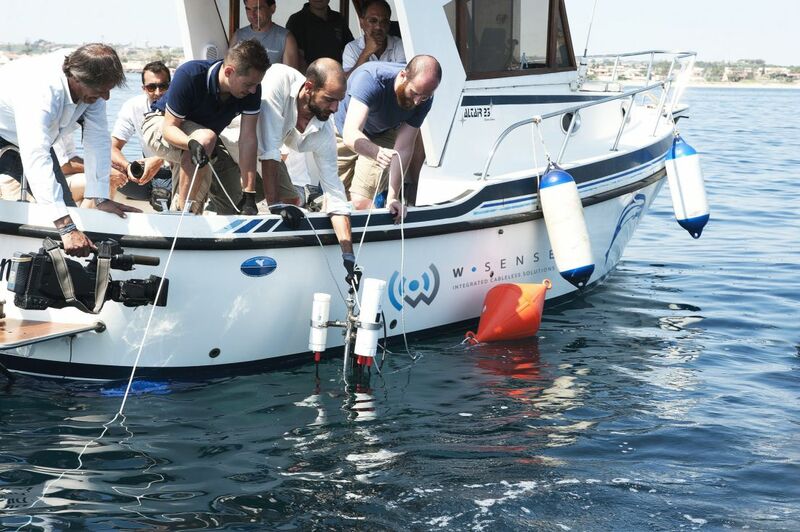 Of course there are still major challenges facing her team, she acknowledged, among them water and air temperature, acoustics, wind and other natural conditions that impede internet connections between divers or robotic devices. But ultimately, the professor said, she believes that thanks to underwater utilization of the Internet of Things (in which ordinary devices of various kinds are connected to the internet), it will be possible to operate the Zeno or similar device for six to eight hours at a time, with one battery switch. 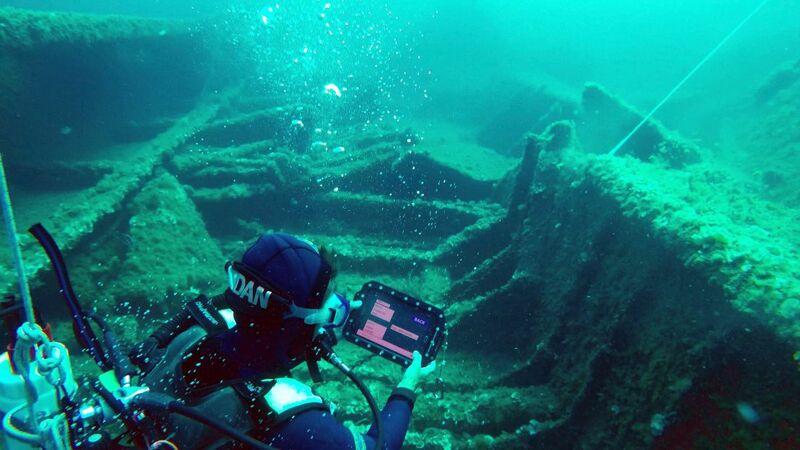 Maritime archaeologists will thus be able to exchange information – even while they are still underwater – both with each other and even with others on land, by means of a sort of social network that will enable the exchange of messages, maps and high-resolution images alike.